Dear Wirecutter: What’s the Best Way to Clear Snow From a Flat Roof? Q: Our home is a mid-century modern home in the Washington DC region with 4,000 square feet of flat roof when you factor in overhangs, porches, etc. What we can’t sort out is: What’s the most effective way of removing snow from a residential flat roof without breaking (in order of importance) our marriage, our backs, the roof, or our bank account? Last year the drifts got up to our waists, and even the trusty shovels you suggested couldn’t dig it out… One even snapped under the pressure! Pretty sure it was user error, but still. We were up on our roof morning, noon, and night shoveling to keep it from collapsing. Short of reroofing the house with heated lining (it’s currently a relatively new modified bitumen roof surface), we’ve researched commercial heated blankets meant for warming construction foundations, solar solutions, roof-friendly salts, roof-friendly snow blowers, leaf blowers strong enough for heavy snow, and a few other desperate ideas, I’m sure—but our amateur research has come up short on all of these. Our current plan is to wait for your next iteration of snow blower recs and pick one that allows us to raise the blades so they don’t cut the roof surface, and just leave it up there for the season, but we’re afraid it won’t work for the high snow sitting on the vulnerable-to-leaking, hard-to-reach corners and edges. What do you think is the best solution for removing snow from a flat roof? After more than 100 hours of research, we think that the LG WM3770HWA washer is the best front-loading washer for most people. After 40 hours of research and weeks of real-world testing in century-old stone basements, we think the Frigidaire FFAD7033R1 is the best dehumidifier for most people. It’s effective at drying air, it maintains an optimal level of humidity, and it’s easier to operate than any other model we tested. At Universal Studios in Los Angeles Tesla CEO Elon Musk showed off the company’s solar roof-top panels, new $5,500 Powerwall 2 high-capacity residential battery pack and Powerpack 2 for businesses. Musk and company have been teasing the photovoltaic cell-embedded rooftop panels for a few weeks. The event was probably timed as an grand explanation for why its important the automaker acquire Solar City. Musk said that if the merger doesn’t go through, the launch of the new tiles will be difficult. During the event, Musk sort of talked about the price of the panels. He said that the “installed cost is less than a normal roof and the cost of electricity.” But there was no concrete pricing announced noting that it’s difficult to put a price on what it’ll cost for every house. Of course a price per square foot would have been helpful. The company will sell the tiles directly to customers instead of working with home builders. They did install non-operational tiles on the Desperate Housewives’ homes before the event. While everyone waited for Musk to take the stage, no one took notice of the homes because they seemed so normal. That’s exactly what Tesla and Solar City want to achieve. 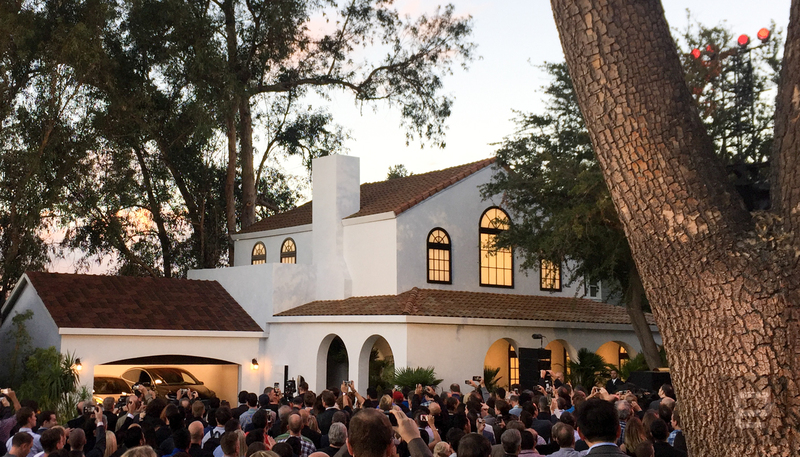 In fact, Musk also showed off a Tuscan-style house with glass tiles on the roof of the garage that to the naked eye, you would be hard-pressed to notice was actually sucking up the energy of the sun. 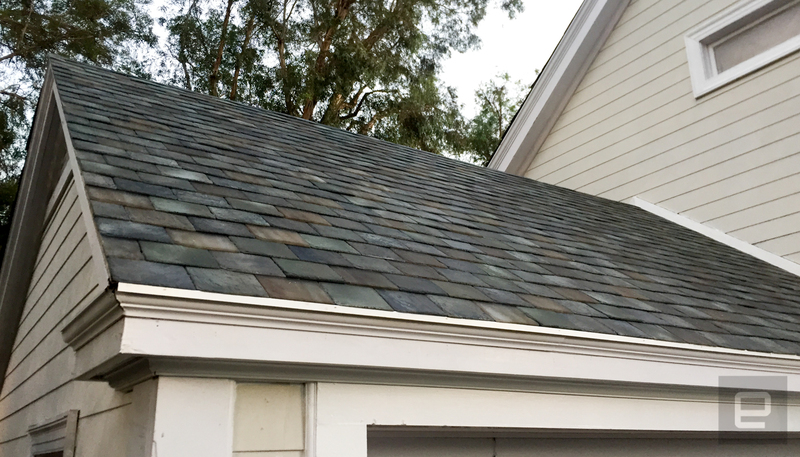 The rest of the house had its original tiles and Tesla noted that this sort of installation gives home owners the opportunity to only place only the solar panels they need while keeping their abodes looking good. “People love their homes and we want them to be better,” Musk said. Of course the entire equation requires batteries to keep the humming along when the sun goes down. 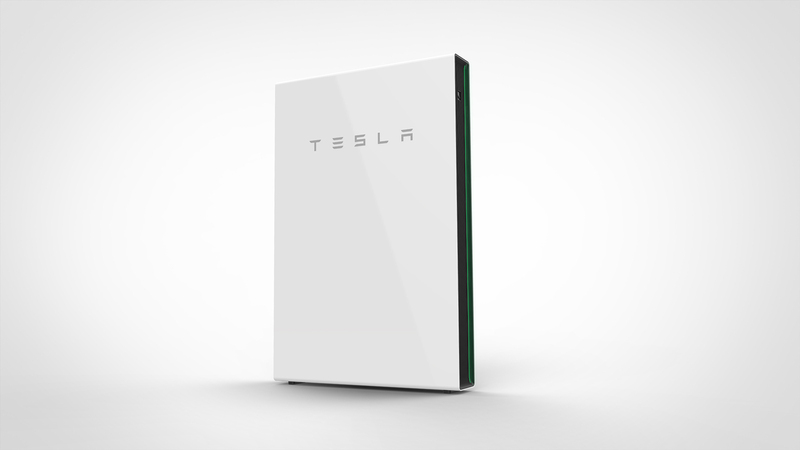 With that in mind, Tesla also introduced a new version of its Powerwall. The company said the two 14 kWh lithium-ion battery packs inside each pack (over double the capacity of the previous version) will power a four bedroom house with lights, refrigerator and other appliances for an entire day. The new Powerall also now includes a built-in power inverter. The previous version required a separate piece of hardware. That inverter works directly with the solar roof tiles to convert sunlight into electricity. 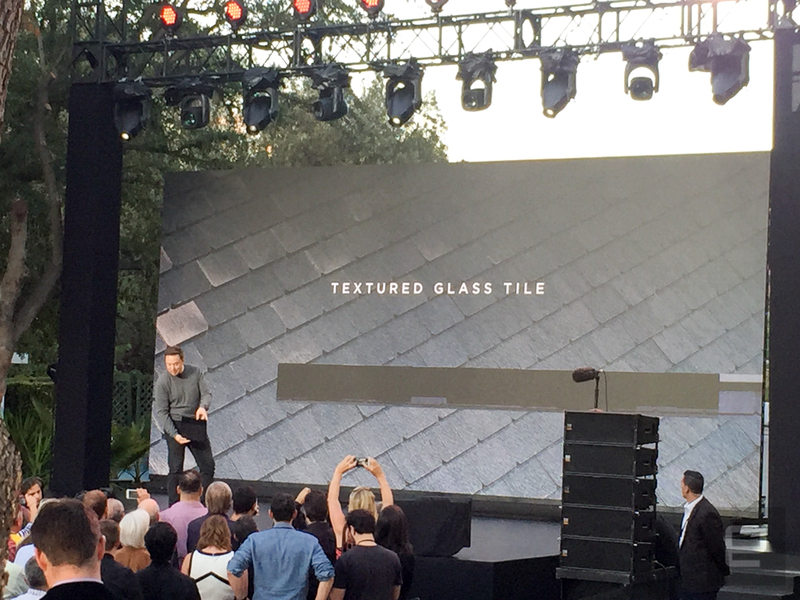 Musk said they will start installing the glass tiles in summer 2017 and insisted that the roofs will last a very, very long time. “We expect this to have two or three times the longevity of asphalt. It’s really never going to wear out. It’s got a quasi-infinite lifetime. It’s made of quartz,” he said. Tesla has just come off an impressive quarter where it posted a profit for the first time in two years. It also announced earlier this month that all vehicles produced going forward would have the hardware capable of full autonomous driving.